cookies, to optimize your browsing preferences. When we send an email to the subscribers of a service or a list of contacts, web beacons or pixel tags enable us to track certain actions. The proprietary tracking technologies contained in our emails allow us to measure the performance of email campaigns and improve the functionality offered to specific user segments. Web beacons let you gather information about when a user opens an email, their IP address, browser, email clients and other similar details. We also include web beacons in emails that are not subject to mass submission. The collected data is used to provide reports on how your email campaign was executed and delivered, and the actions the subscribers of your contact list have undertaken. a third-party database of suppliers. learn how and when you use our services, applications and software in order to improve them, both for you and for all our users. communicate with us in any way (including by telephone). This information may include your name and surname, your client name, physical address, email address, telephone number, details of gender, occupation, location, purchase history and other demographic information. We have provided a declaration of consent to the processing of data, prepared in an understandable and easily accessible form, without harassment clauses. You can always make an authentic, free choice. possible pre-contractual measures to execute requests for quotes or to use demonstration versions. You will always have the opportunity to give your consent by a positive and unequivocal act in which you express your free, specific and informed intent to accept the processing of personal data about you. an oral communication with a registered procedure. If the communication takes place by completing a contact form (or any other form) on the website, you must actively select a specific box that clearly indicates that you have intentionally accepted the proposed treatment. In other cases you will have to check a box printed on a paper form, or you must expressly state the word “YES” during an oral communication in response to a request by the person in charge of the processing of your data. The action will be recorded and will be proof of your consent. You may at any time decide to avoid processing data according to the rules of the GDPR and the conditions of opportunity. At Delivery Tech we do our best to keep your data accurate, up-to-date, and limited to the information you provide. We will keep your information for as long as your account is active or for the time necessary to provide our services. We may also retain and use your information to comply with our legal obligations, resolve disputes, prevent abuse and enforce our agreements. The data we collect to meet our contractual obligations, and the information about how and when you use our services are stored in active databases, log files or other types of duly protected and encrypted data storage systems. personal data collected to access our services, applications and software, whether purchased services, demonstrations or searches made following access by username and password of the individual’s account, will be stored on our servers via a database accessible from an active account. 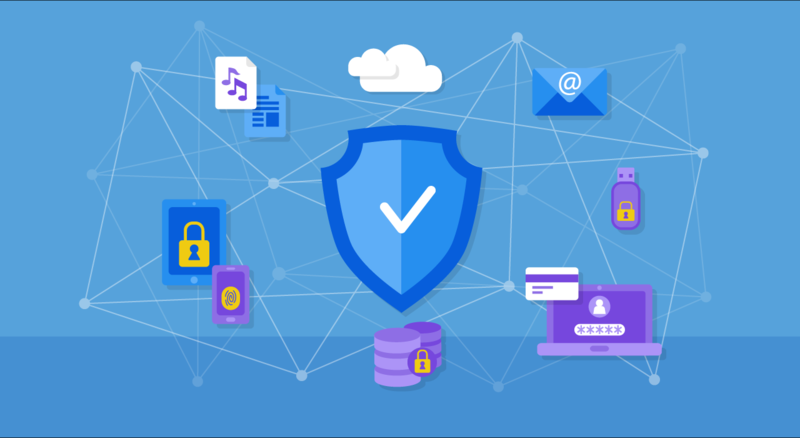 Subsequently, they will be stored by means of secure backup on our servers for as long as you use the service, or stored for 12 months in case of cancellation. Delivery Tech is not required to store all your data forever. You will be able to access some of the data until you have an active contract, whether paid or free, and for a period that varies with the type of data in question and the plan signed. The information we store may include statistics relating to your account, the content of your emails, contact lists, etc. The data received for a business contact, such as a Curriculum Vitae, will be archived and duly protected on the PC in the dedicated folders of Human Resources personnel, for the period of time necessary to complete the personnel selection operations. The data received from the contact form for general information will be processed in the ways and times provided to give feedback to the type of contact. During that period, the information will be stored and accessible only to staff. European user data are stored and processed on servers located in the EU, but they could be transferred, processed and stored on servers located in the United States of America. Because our offices are also located in the United States, some of the accounts could be processed at these locations and in accordance with the GDPR. As a result, we have appointed the eDisplay company for the EU. Delivery Tech assures you that you have already set up all the mechanisms within your business group to ensure the verification of compliance with the binding corporate rules. These mechanisms include checks on data protection, as well as methods to ensure adequate security and protection of the data subject’s rights. Your data will be processed exclusively by Delivery Tech and eDisplay. When you use our services, we have access to the information contained in the email contact lists of your account, as well as to the subject and content of the emails you send. This data is stored on secure servers. Only a limited number of people are authorized to access that data, specifically to provide support services. You can easily retrieve your contact lists from your accounts at any time using the export procedure. You can also change and/or delete contacts at any time from your accounts. In no case will Delivery Tech sell, share or lease your contact lists to third parties, or use them for purposes other than those set out in this policy statement. We will use information from your contact lists only for legal requirements, for invoices and possibly for aggregate and non-systematic statistics, in order to provide you with the best services. Remember that you are the creator of your contact lists and associated email campaigns so you are considered the data controller under the GDPR. Delivery Tech acts only as a data processor. Some of our Web pages utilize “cookies” and other tracking technologies. A “cookie” is a small text file that may be used, for example, to collect information about Web site activity. Some cookies and other technologies may serve to recall Personal Information previously indicated by a Web user. Most browsers allow you to control cookies, including whether or not to accept them and how to remove them.